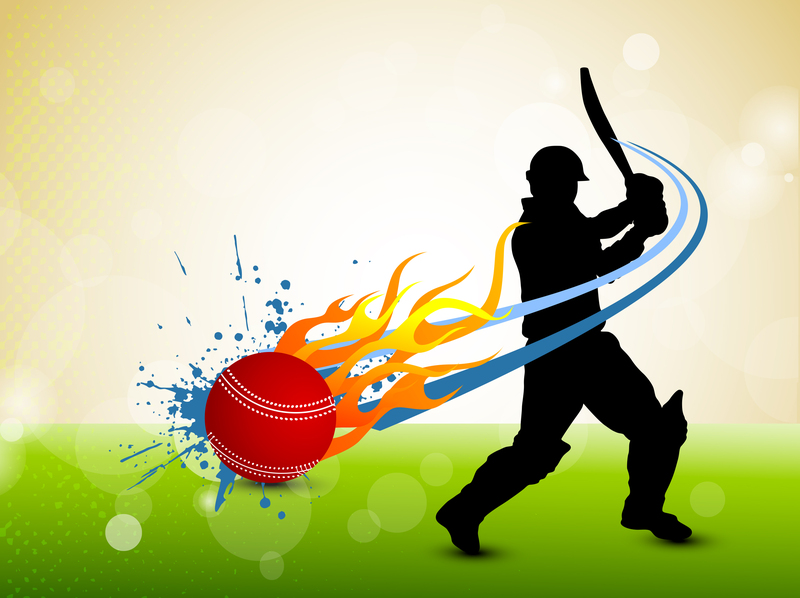 Get all latest cricket news, cricket live updates and coverage of cricket series including cricket match schedule, photos, videos and more. New Delhi, April 23 (IANS) Left-arm South African fast bowler Beuran Hendricks has signed with the Mumbai Indians as a replacement for the injured Alzarri Joseph for the remainder of the ongoing Indian Premier League (IPL). View More..
New Delhi, April 23 (IANS) Ahead of the biggest & first ever Global Sports Fan Awards, Sugumar D., an ardent fan of Indian skipper Virat Kohli, has been announced as the second recipient of the Global Sports Fan Awards, joining the bandwagon with Sachin Tendulkar worshipper Sudhir Kumar, who is the first recipient of the award. View More..
New Delhi, April 23 (IANS) With 26 runs needed off the final over, anyone would say that the bowling team has the upper hand and is most likely to win the game. This is what RCB skipper Virat Kohli would have thought when he handed the ball to Umesh Yadav on Sunday. However, he was aware of the fact that the batsman at the striker's end was none other than MS Dhoni, a man who has been famous throughout his career for doing the impossible. And he almost pulled it off again. View More..
Jaipur, April 23 (IANS) Delhi Capitals opener Prithvi Shaw believes his team-mate Rishabh Pant is the biggest finisher in T20 cricket at the moment. View More..
New Delhi, April 23 (IANS) Ten of the 15 Board of Directors of the Delhi and District Cricket Association (DDCA) have signed a resolution for the withdrawal of all powers of association President Rajat Sharma. These 10 members are Vinod Tihara, Rajan Manchanda, Renu Khanna, Sanjay Bhardwaj, Alok Mittal, Apurv Gupta, S.N. Sharma, Sudhir Agarwal, Rakesh Bansal and Nitin Gupta. View More..
New Delhi, April 23 (IANS) Former India all-rounder Kapil Dev believes twin World Cup-winning captain Mahendra Singh Dhoni is the biggest contributor to the gentlemans game. Coming from the man who himself lifted the 1983 World Cup in England, this is no mean appreciation. View More..
Bengaluru, April 23 (IANS) With two back to back wins, Royal Challengers Bangalore (RCB) will aim for yet another victory and keep their slim chances of making it to the playoffs alive when they take on the Kings XI Punjab (KXIP) in the ongoing edition of the Indian Premier League (IPL) at the Chinnaswamy Stadium, here on Wednesday. View More..
New Delhi, April 23 (IANS) Delhi Capitals mentor Sourav Ganguly praised wicketkeeper-batsman Rishabh Pant, who played a scintillating knock to guide his team to a six-wicket win over Rajasthan Royals in the ongoing edition of the Indian Premier League (IPL). View More..
New Delhi, April 23 (IANS) A decision that took quite a few people by surprise, Kolkata Knight Riders have decided to let a few of their players travel to Mumbai and train at their academy before the next game against Rajasthan Royals on Thursday even as rest of the team was given time to regroup. View More..
Jaipur, April 23 (IANS) Rajasthan Royals captain Steve Smith felt his side could have posted a much higher total against Delhi Capitals in their Indian Premier League (IPL) game which they lost by six wickets, here on Monday. View More..
Jaipur, April 23 (IANS) After propelling Delhi Capitals to a convincing six-wicket win over Rajasthan Royals in the Indian Premier League (IPL), Rishabh Pant admitted that the World Cup selection has been on his mind for sometime now. View More..
Jaipur, April 23 (IANS) Rishabh Pant's quickfire cameo (78 unbeaten off 36) along with valuable contributions by openers Shikhar Dhawan (54) and Prithvi Shaw (42) helped Delhi Capitals overhaul Rajasthan Royals' 192-run target with four balls to spare in their Indian Premier League (IPL) contest at the Sawai Mansingh Stadium here on Monday. View More..
Jaipur, April 22 (IANS) Ajinkya Rahane's brilliant century (106 not out) followed by skipper Steve Smith's 50 propelled Rajasthan Royals to a fighting 191/6 against Delhi Capitals in an Indian Premier League (IPL) match at the Sawai Mansingh Stadium, here on Monday. View More..
Kolkata, April 22 (IANS) Jhulan Goswami, the worlds highest wicket-taker in womens One-day Internationals; Sambaran Banerjee, Bengals Ranji Trophy winning captain and former national selector; and Sukumar Samajpati, former India winger and Maidan legend, will be among the recipients at the annual awards programme of the Calcutta Sports Journalists Club (CSJC), here on Tuesday. View More..
New Delhi, April 22 (IANS) Scotland batsman George Munsey scripted history after smashing a century off just 25 deliveries while playing for Gloucestershire 2nd XI. View More..
Jaipur, April 22 (IANS) Delhi Capitals' skipper Shreyas Iyer won the toss and opted to bowl against Rajasthan Royals in an Indian Premier League (IPL) contest at the Sawai Mansingh Stadium here on Monday. View More..
New Delhi, April 22 (IANS) The final of the 12th edition of the Indian Premier League will be played at the Rajiv Gandhi International Stadium in Hyderabad on May 12 after the Tamil Nadu Cricket Association (TNCA) wasn't given permission to open stands I, J and K. Chennai will now host Qualifier 1 while Vizag will host the Eliminator and Qualifier 2. View More..
Kolkata, April 22 (IANS) An MSD special is no longer as frequent an affair as it used to be in the early 2000s. But Mahendra Singh Dhoni turned back the clock once again on Sunday not just for his fans, but also for one man, who literally had to fight it out as chief national selector in 2004, to ensure that a young man from Ranchi got the nod to be part of the Indian squad for a tour of Bangladesh. View More..
Hyderabad, April 22 (IANS) In the ongoing edition of the Indian Premier League (IPL), one thing that has been consistent for the Sunrisers Hyderabad (SRH) is the brilliant batting performance of their openers, David Warner and Jonny Bairstow. View More..